I am still trying to get three posts in a week. I know I generally try to stick with a Monday, Wednesday, and Friday. Does it matter to anyone, or are you just happy to see some new pretties? I figure as long as I am getting it out there, that things are good. I have a lot of cool stuff coming up and I hope you like it! 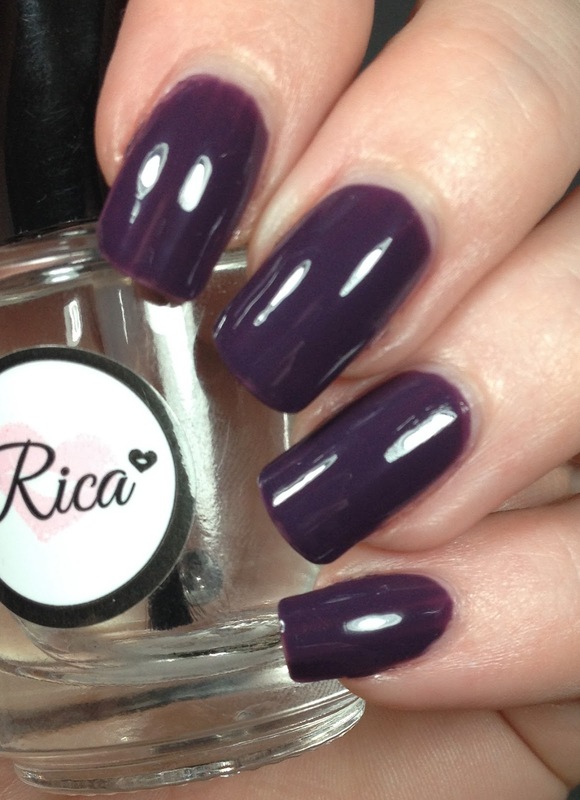 First of the bunch is Vintage Gown, I used two coats and topped it with Glossy Glam from Rica. 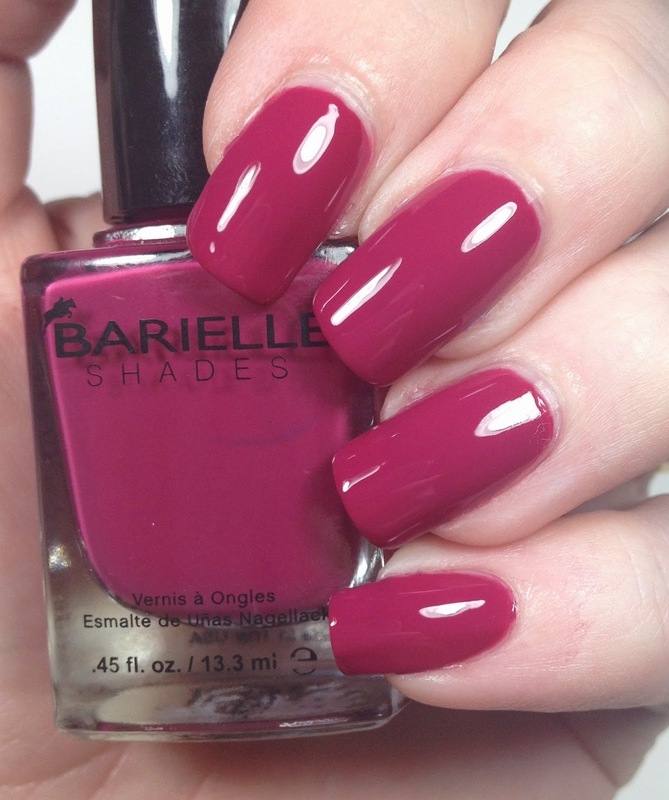 Barielle says this is a creamy ruse with a hint of pink. This has some shimmer in the bottle but it doesn't translate well outside of it. The formula on this is nice and the wear time was great too. 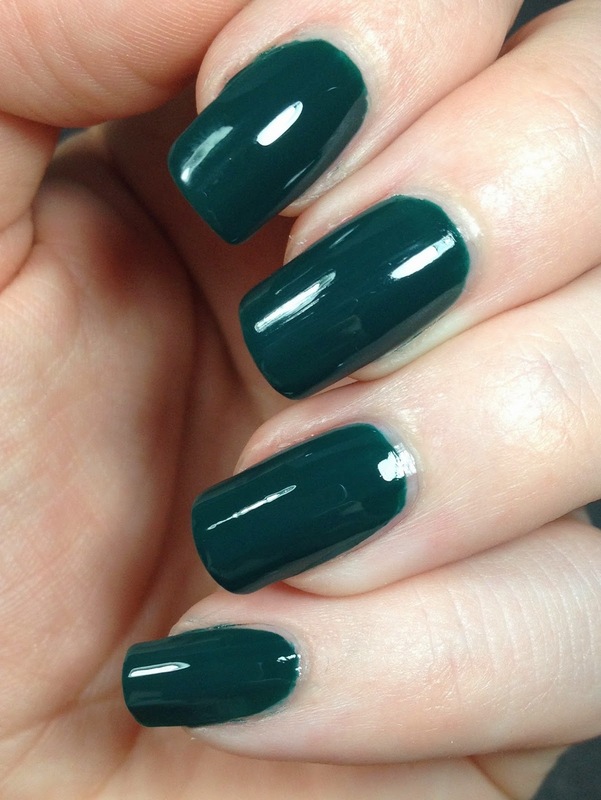 This is Boho Chic, which they call a creamy deep sea green. 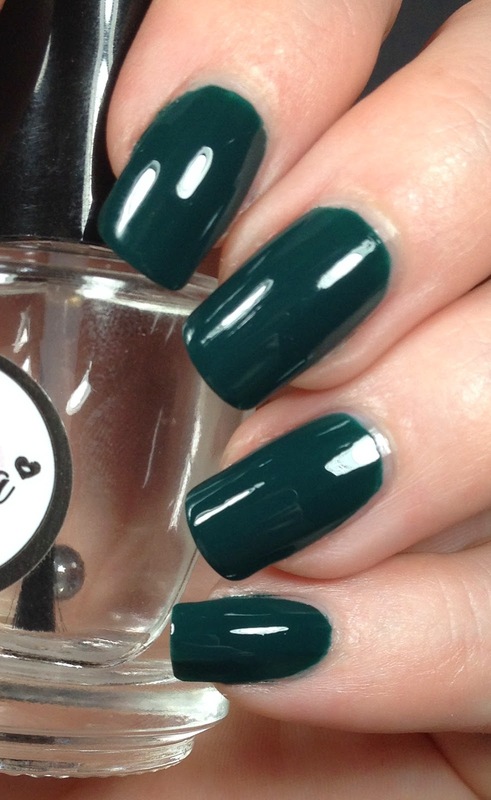 It is a deep green for sure but to me it is more of a forest green. I used two coats here and topped it with Clearly On Top from KBShimmer. This wore like iron on me. It is amazing. I think I got at least four days out of this one. Great formula and I highly recommend it. This one is the whomp whomp of the bunch. This is Soho At Night which is described as a creamy grape purple. I think they got the description right but the formula on my bottle wasn't the best. 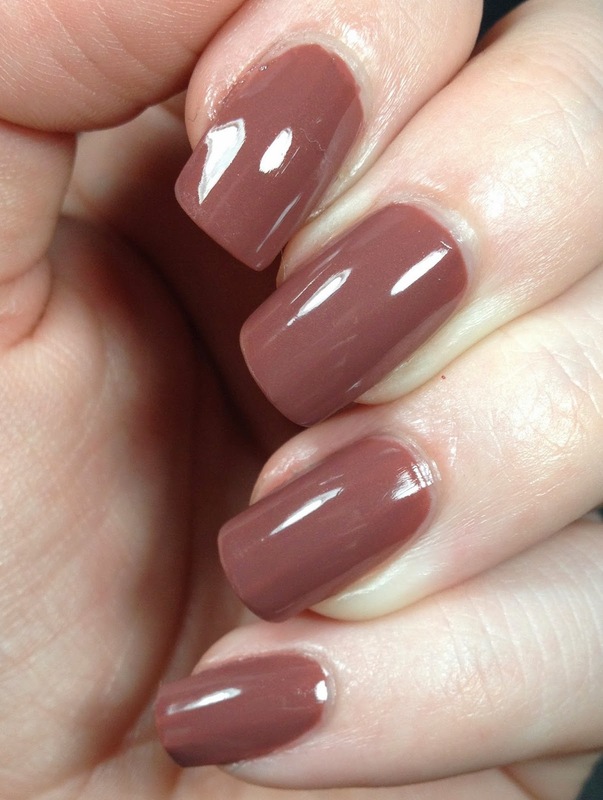 What you see here is three coats topped with Glossy Glam. 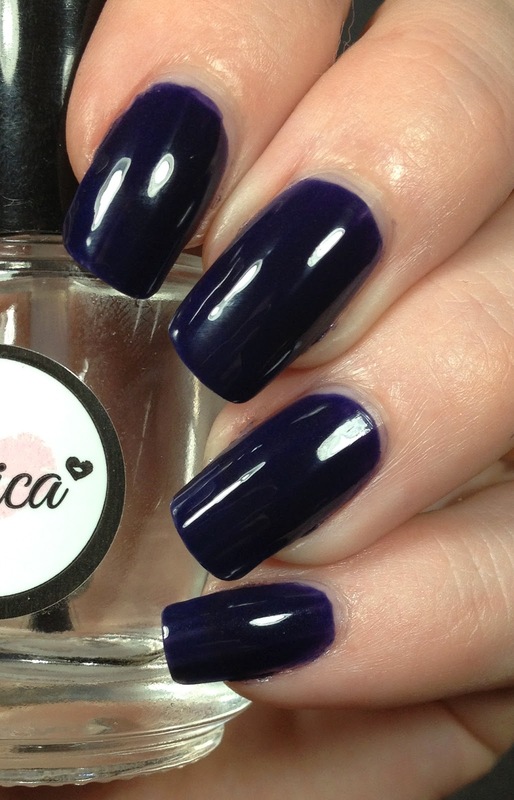 Even with three coats you can see it is patchy and doesn't cover well. 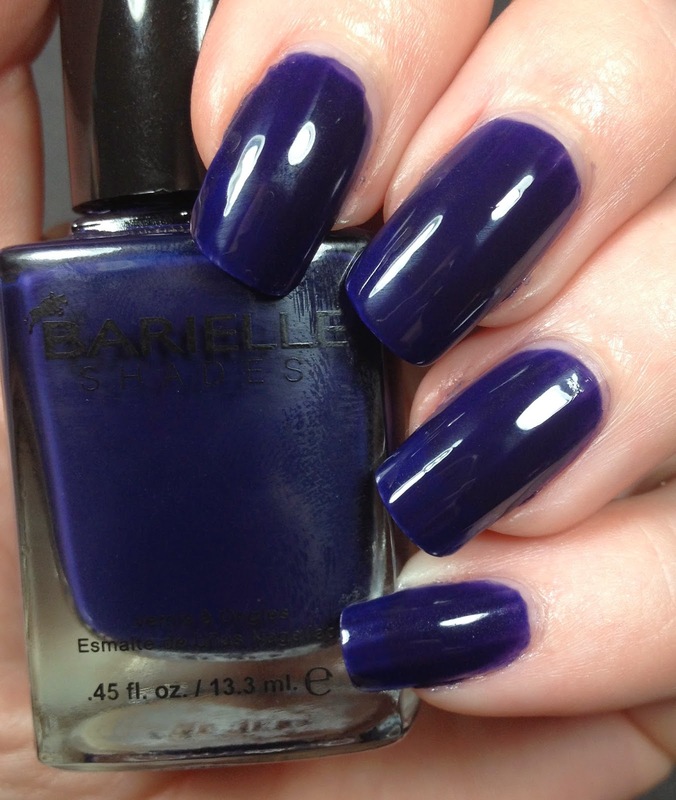 Such a bummer because I loved the color. This one may be my favorite out of the collection. 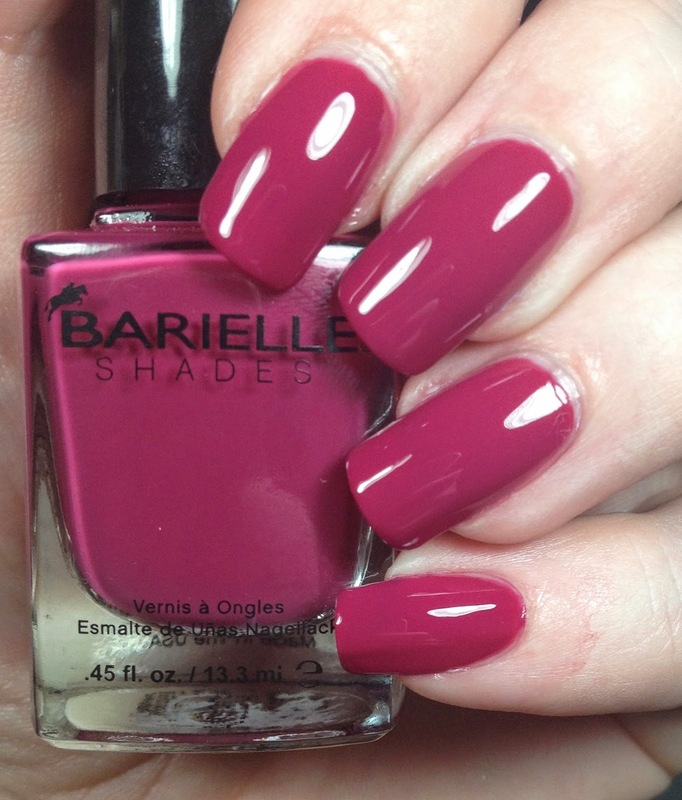 Barielle says this is a creamy deep fuchsia, which is exactly what this is. 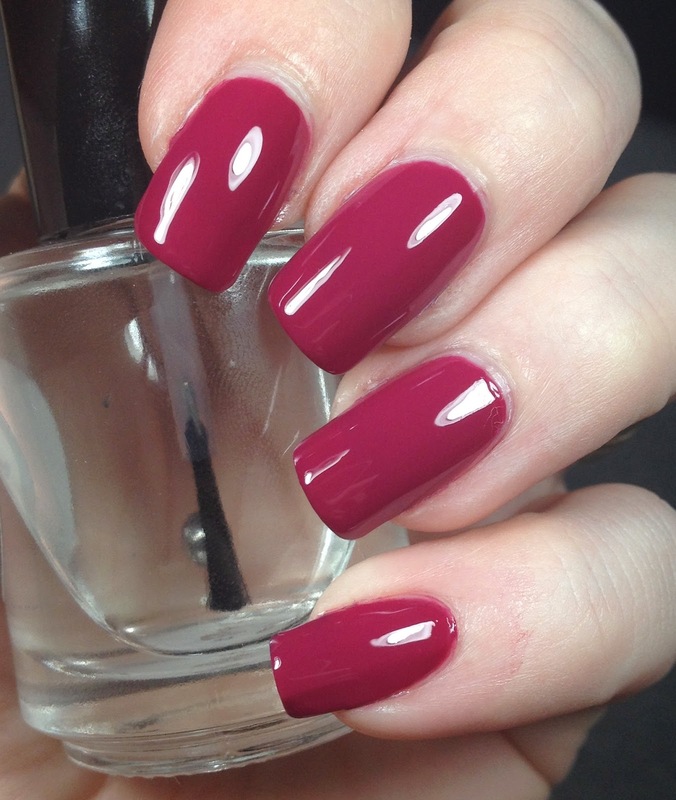 I used two coats and used Clearly On Top as the top coat. This one was SO pretty and perfect. I also wore this for four days with no chips and minimal tip wear and that was mainly on my dominant hand. Get this one too!!! Only two more left! Is six too many for one post? I can break things up if people would prefer that! 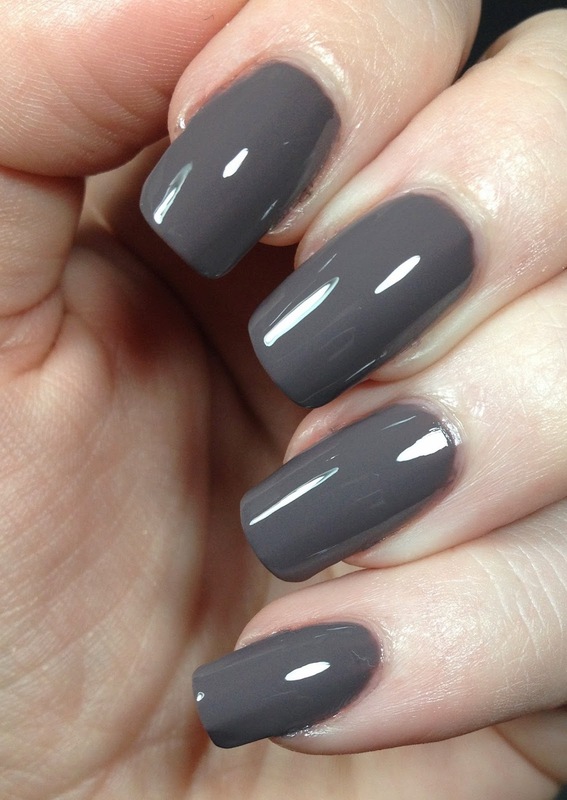 Taupe Notch is up next, such a clever clever name. 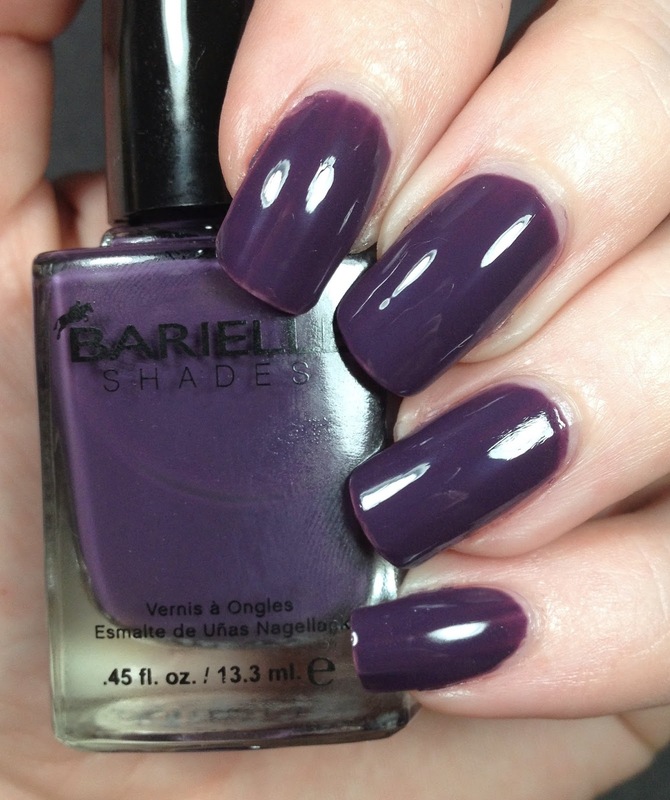 Barielle's description is that it is a creamy dark taupe. I used two coats and I topped it with Glossy Glam. 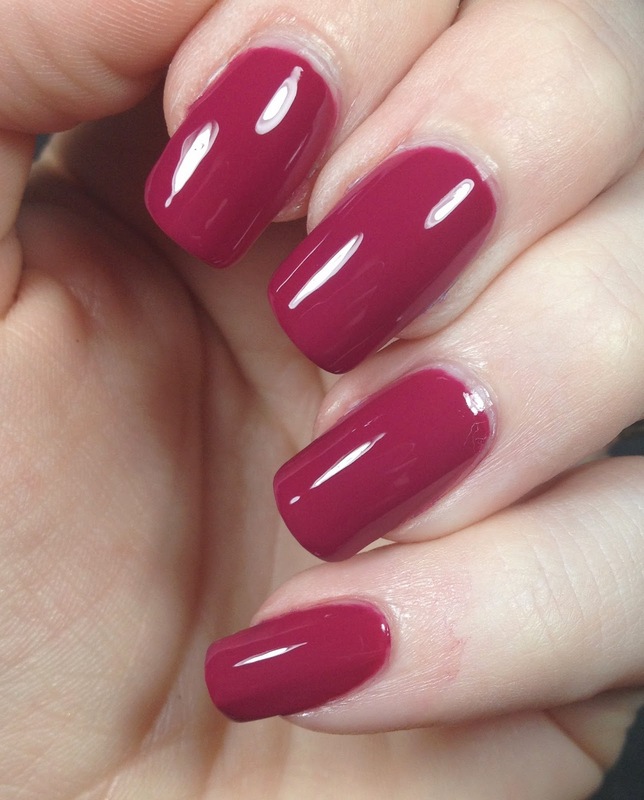 This is a perfect fall color to me. 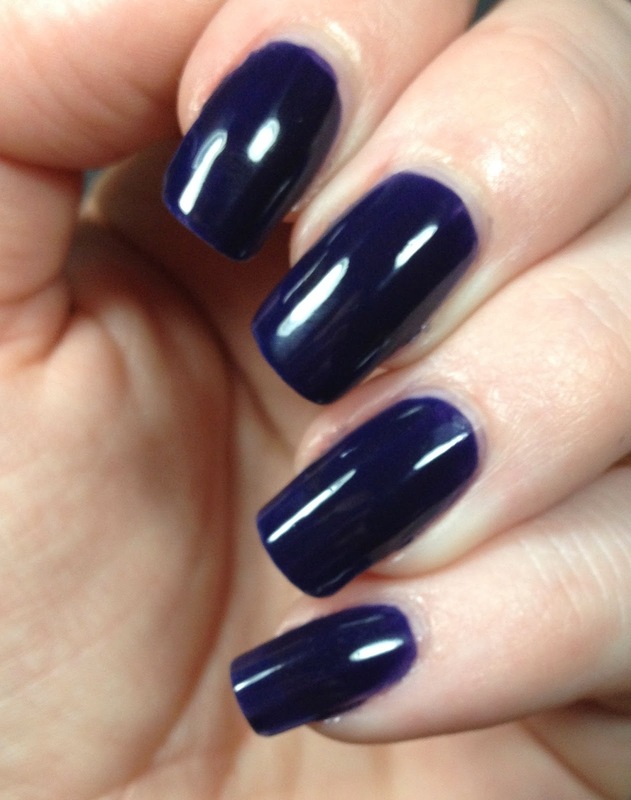 Last up is Moda Bleu, a creamy dark navy blue. This one was a bit iffy for me. 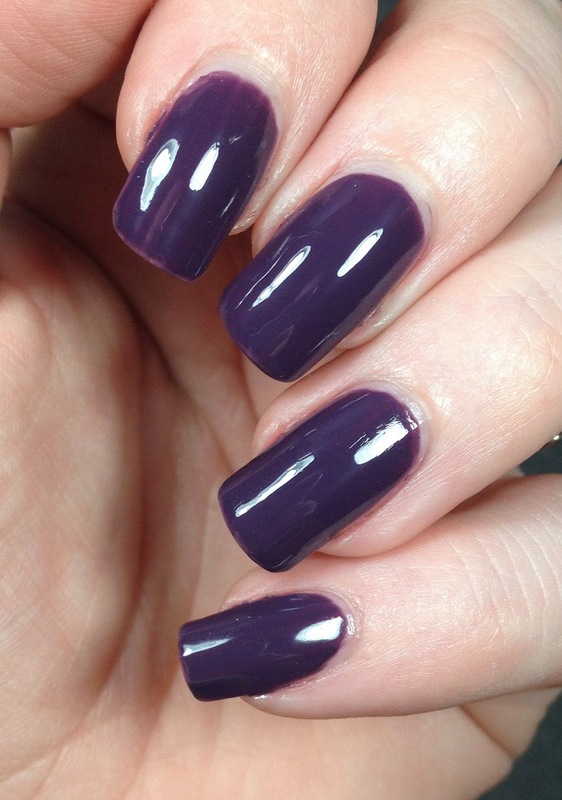 I used two coats here and then topped it with Glossy Glam. You have to be VERY careful with this one. If you don't make sure that there is full coverage over the first coat with your second, you are going to get a patchy result. I am on my second day wearing it and I only have one small chip on my pinky. 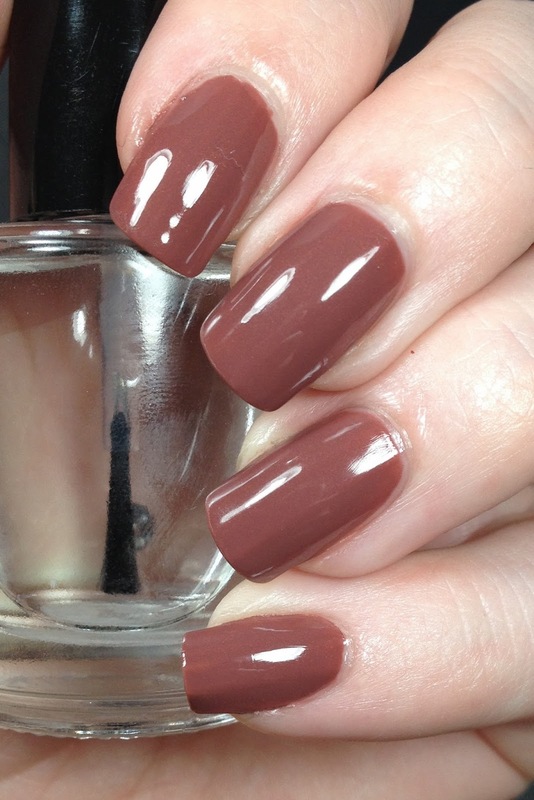 What are you digging for fall? Are any of these colors calling to you? 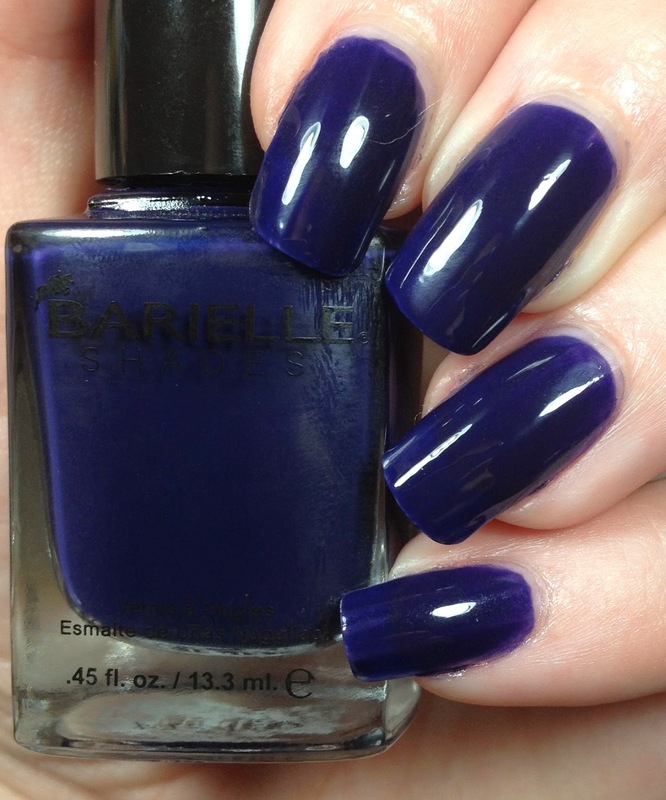 Great fall collection from Barielle! 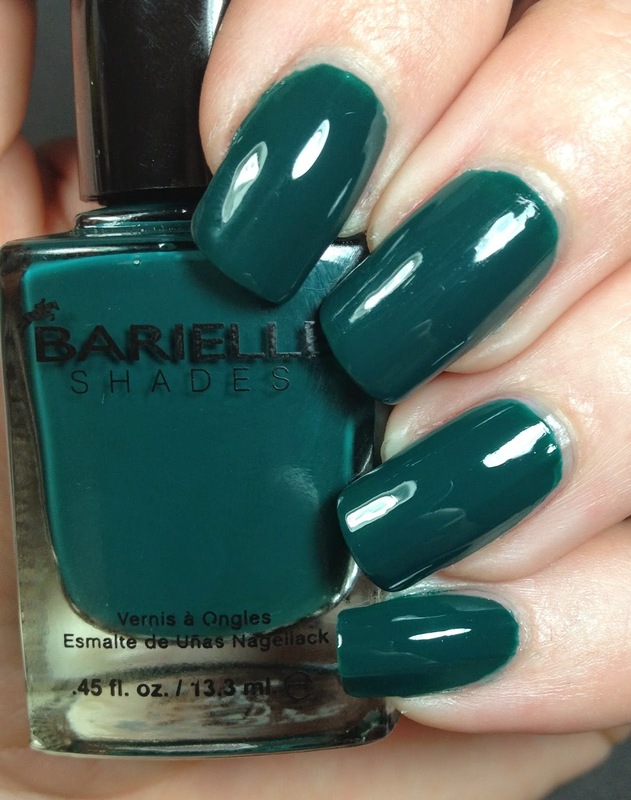 These are lovely colors.